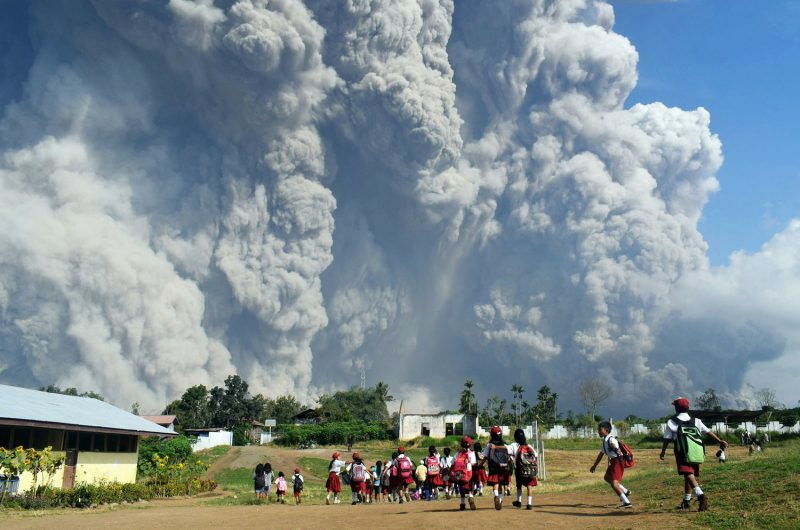 See the incredible photos from all over the world Nexter.org found for you. 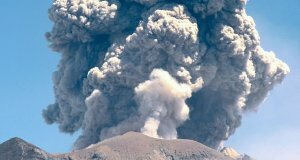 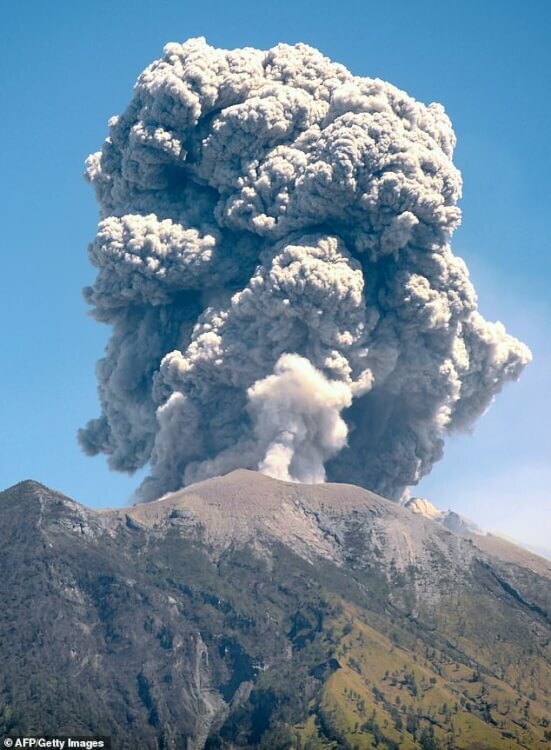 A volcano on Indonesia’s Sumatra island has erupted, creating a gas tower and forcing 30,000 people to leave the area. 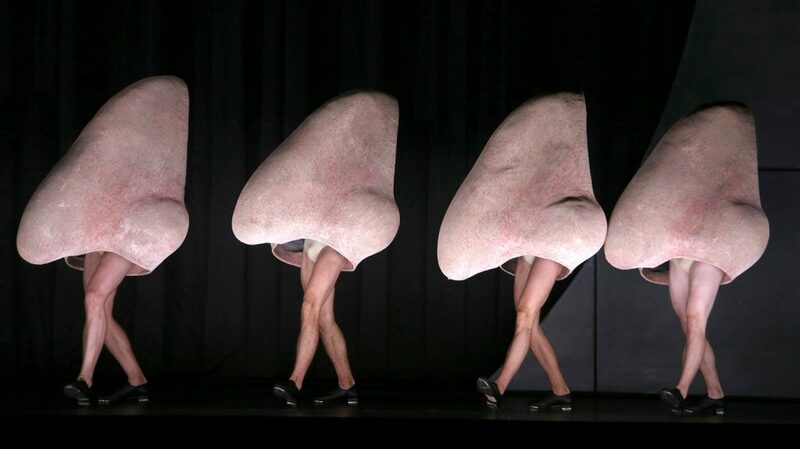 Dancing noses performance for Shostakovich’s opera “The Nose” at the Sydney Opera House on February 19, 2018. 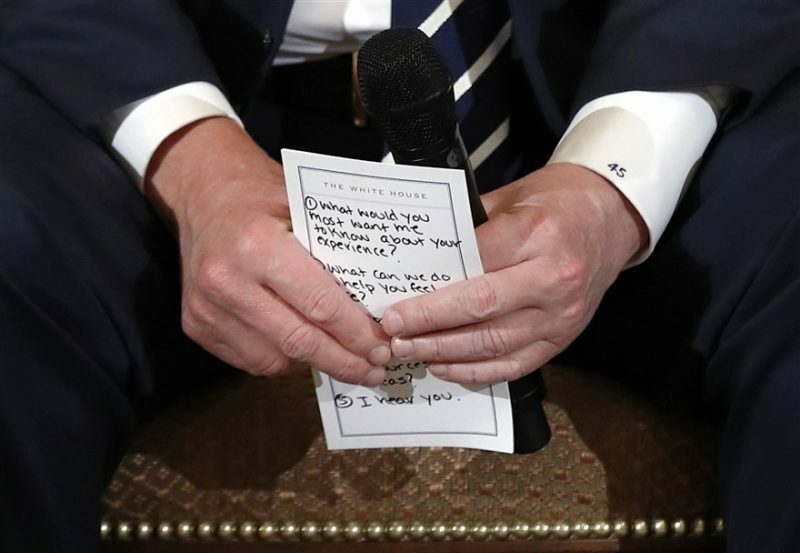 President Donald Trump holds notes with comforting words during a listening session with survivors of a deadly mass shooting in the State Dining Room of the White House in Washington on Feb. 21. 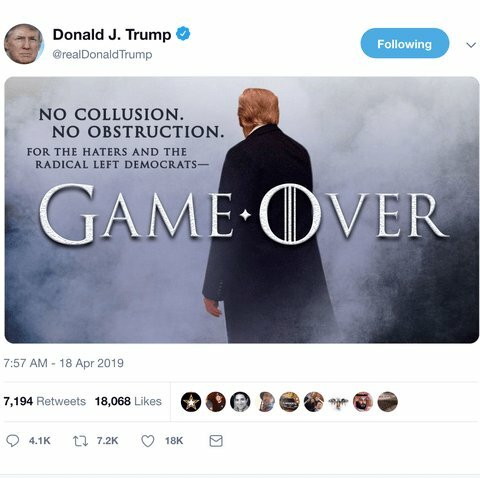 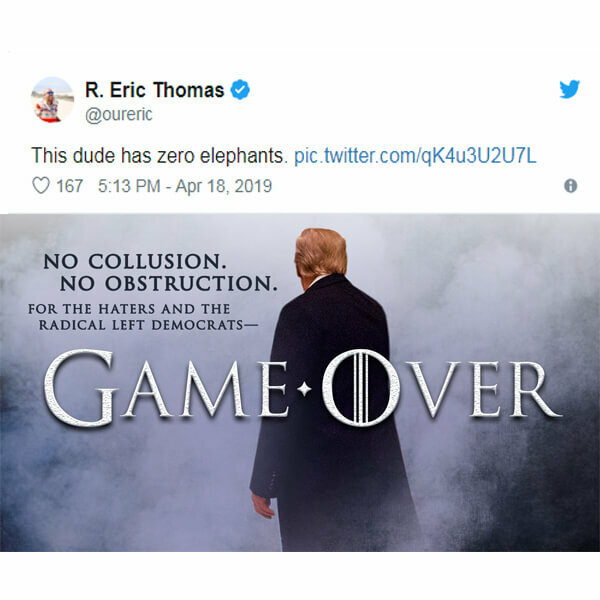 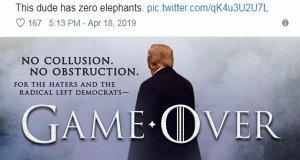 Trump heard the stories of students and parents affected by school shootings. 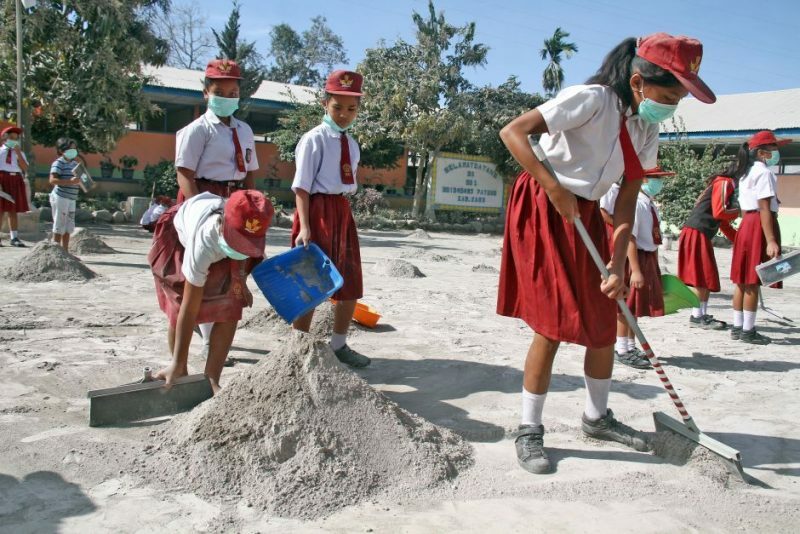 Students clean their schoolyard from ash after Mount Sinabung volcano erupted on Feb. 19 at Payung village in Karo, North Sumatra on Feb. 20. 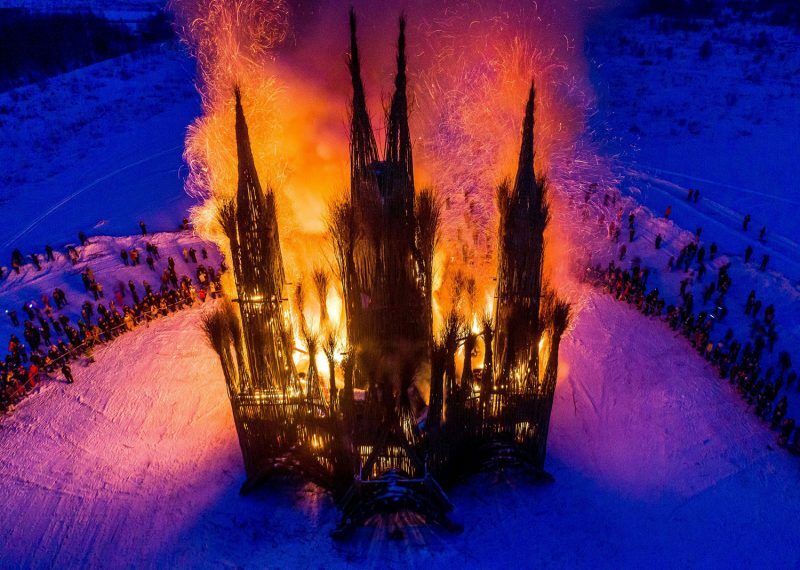 An aerial view taken with a drone on February 17, 2018, shows spectators watch the 30-meter Gothic style structure made of twigs and debris by Russian artist Nikolay Polissky burn during the celebration of Shrovetide in the village of Nikola-Lenivets, Russia, on Feb. 17. 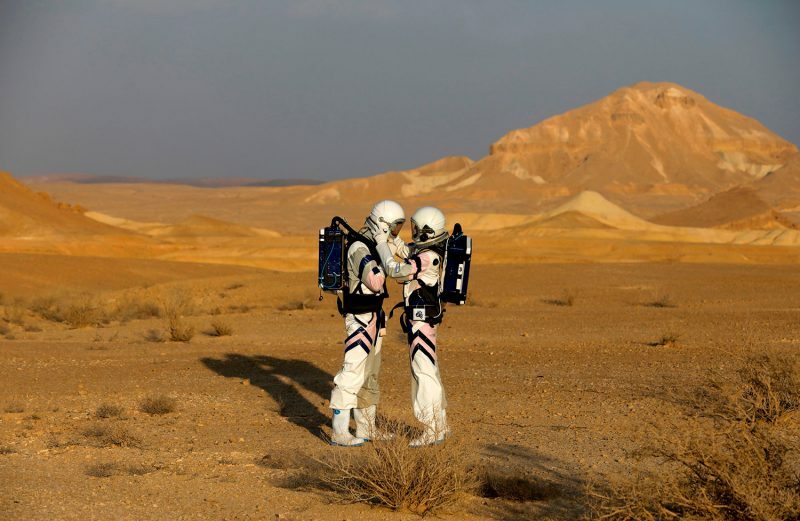 Israeli analog astronauts start their mission on the D-MARS Project on February 18, 2018, in cooperation with the Israel Space Agency, which simulates life on Mars in the Israeli Negev desert. 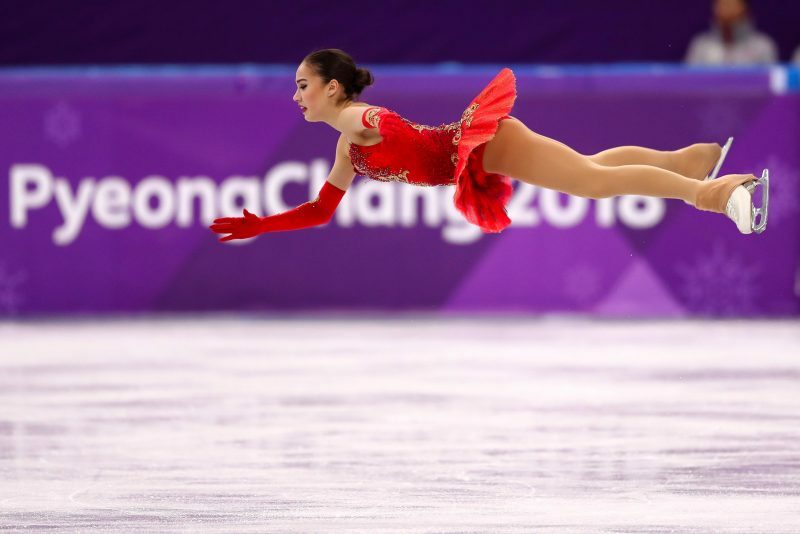 Alina Zagitova (gold) of Olympic Athlete from Russia competes during the Ladies Single Skating Free Skating on the PyeongChang 2018 Winter Olympic Games. 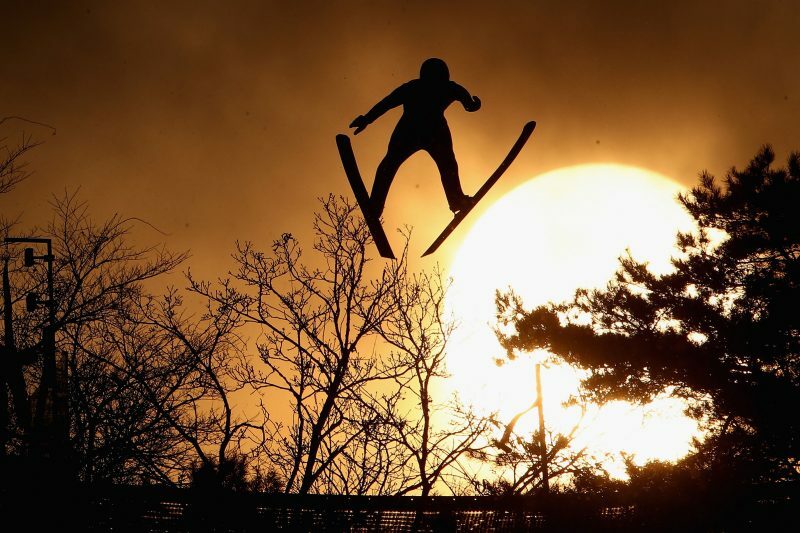 Wojciech Marusarz of Poland competes during the Nordic Combined Team Gundersen LH/4x5km, Cross-Country on the PyeongChang 2018 Winter Olympic Games. 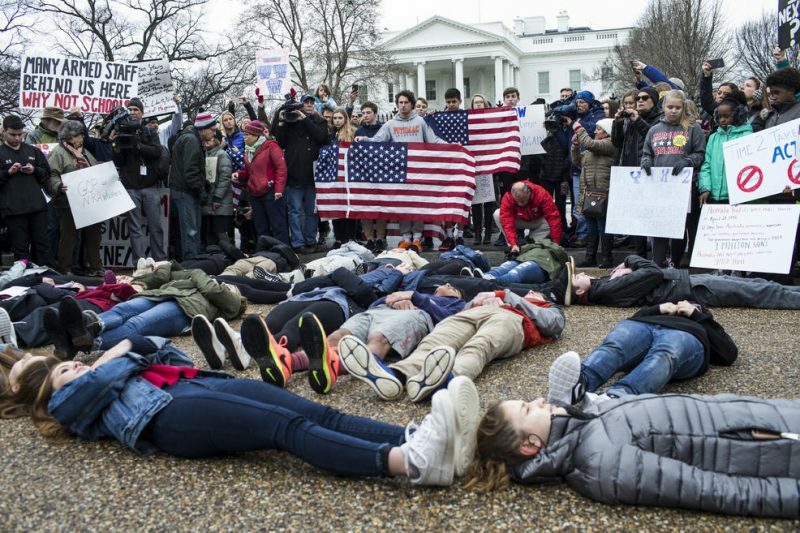 Demonstrators lie on the ground a “lie-in” demonstration supporting gun control reform near the White House on February 19, 2018, in Washington, DC. 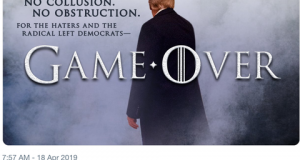 According to a statement from the White House, “the President is supportive of efforts to improve the Federal background check system.”, in the wake of last weeks shooting at a high school in Parkland, Florida. 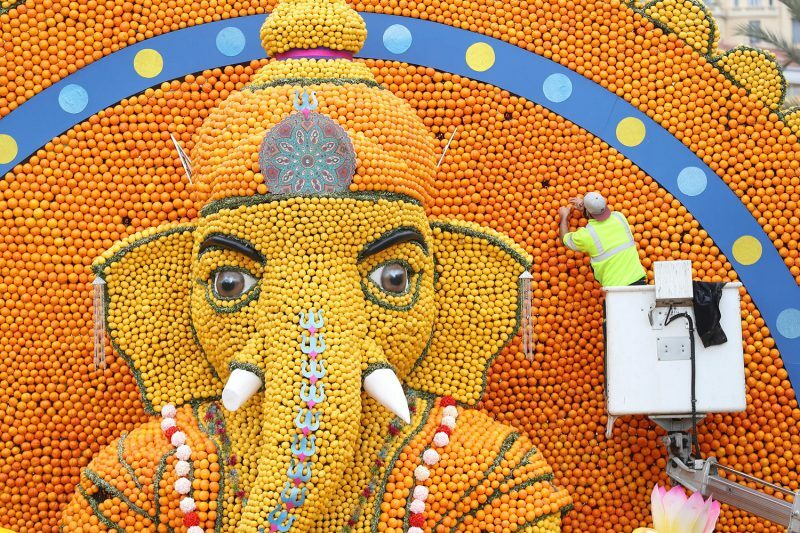 A worker places oranges on a sculpture of Hindu deity Ganesh made of lemons and oranges on the eve of the 85th Lemon Festival, on February 16, 2018, in Menton, southeastern France. 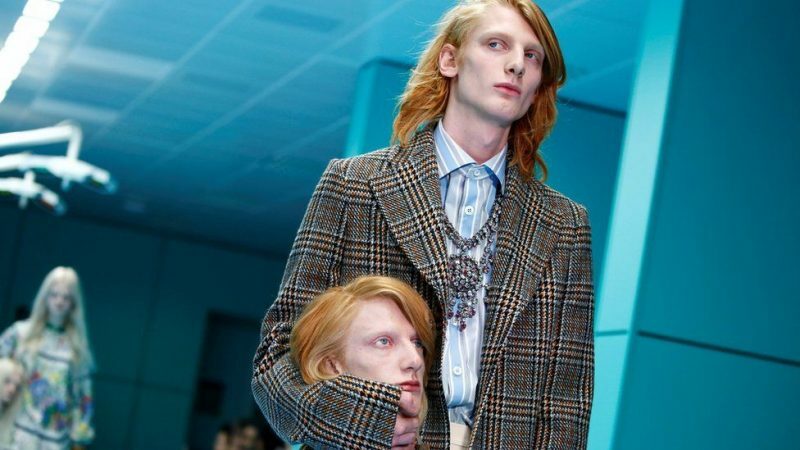 A memorable moment from Gucci runway show during Milan Fashion Week. 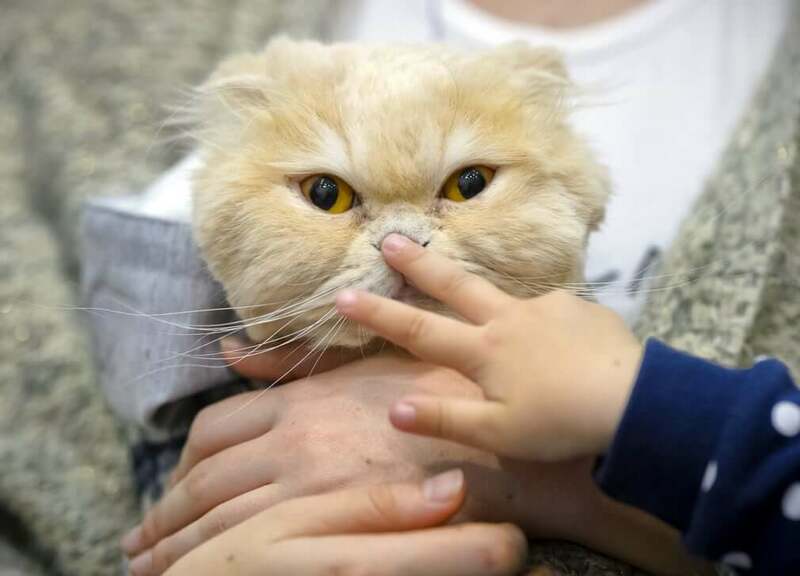 A model holds a replica of his head. 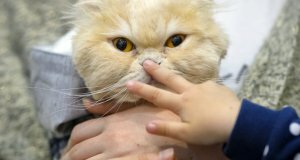 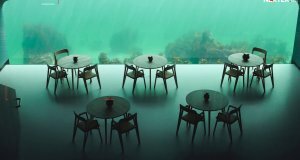 Best Photos 2017 by National Geographic: Amazing Views!